An Inexpensive Demonstration of Respiration. This unique and easy-to-use model features parts that replicate the actions of respiration. Pulling on the rubber diaphragm that covers the bell jar causes the balloon lungs to fill with air as air pressure in the jar is reduced. 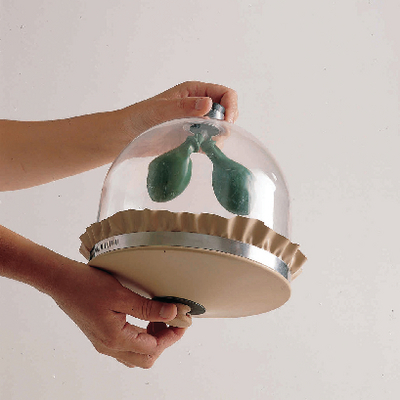 When users push the diaphragm in, the balloons collapse and recreate exhalation. Ordering information: The set includes an acrylic bell jar, Y tube, two balloons, a rubber diaphragm with a knob for ease of movement, and an instruction manual.